Welcome to ServiceLink Auction, powered by Hudson & Marshall! Interested in creating an account? Follow the steps below and you’ll be on your way to finding your dream home. Click “Sign Up” at the top right of the homepage. 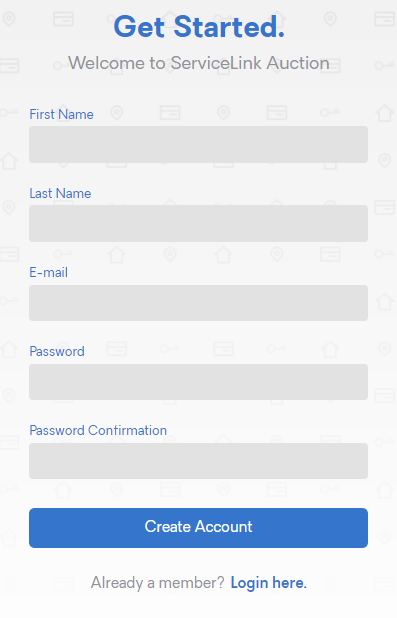 Fill out your First Name, Last Name, Email, Password, and finally confirm the Password you chose. You will get a confirmation message. You’re almost there! You will receive a verification email with a link to finish your account setup. Click on the button to verify your email.